The Building Better, Building Beautiful Commission has recently been established to advocate and represent the Government’s commitment to beauty in the built environment[i]. Already ahead of the game, GO Homes is a premium property developer which has already demonstrated support for the Commission’s values, through its thoughtful and intelligent design and craftsmanship. Emblematic of these values lies Fusiliers Green, an exclusive collection of four and five-bedroom homes set within a rural backdrop in Great Bentley, north Essex, offering homebuyers an idyllic location imbued with countryside charm and an inspiring community. Comprising a sympathetically-designed selection of 49 homes, the development consists of an array of different property styles: the Richmond, the Hampton, the Mayfair, the Oxford, the Clover and the Buckingham. 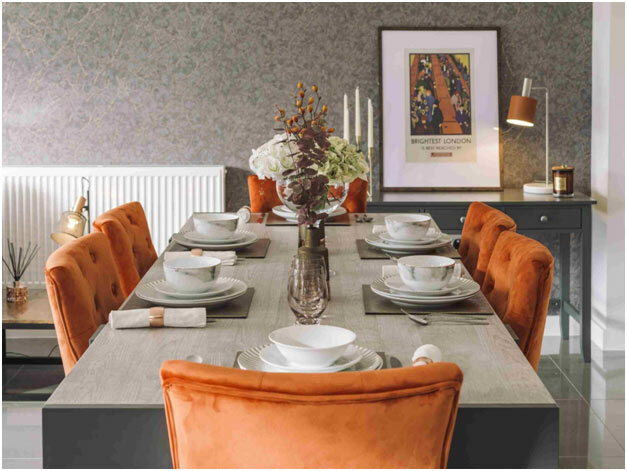 The developer’s inclusion of six different property types has helped to create a distinctive new community, offering an exceptionally high standard of living and available with the Help to Buy scheme. Lending its exterior from traditional Cape Cod style homes, the four-bedroom Hampton features beautiful weatherboarding with traditional sash windows. Meanwhile, the Richmond shares characteristics with Georgian architecture and features traditional brickwork with a central door and front porch separated by two columns, borrowing its style from the traditional English country house. Mediating between the two, the Mayfair and the Buckingham comprise five-bedrooms. The former includes a unique characteristic, with the third bedroom of this home situated above the double garage, offering additional privacy. Providing further space, the Buckingham spans across three floors with two bedrooms, an en-suite and an additional storage space. Perfect for the family, Great Bentley is home to the second largest village green in the country, and has won a plethora of awards, including village of the year on several occasions. The village also hosts a number of events throughout the year, such as Circus Tyanna, the Frinton Festival and the Great Bentley Carnival and Funfair. Food enthusiasts will be equally well catered for, with the Rosebud Pub offering locals a cosy seaside retreat, serving fresh fish daily from the market. 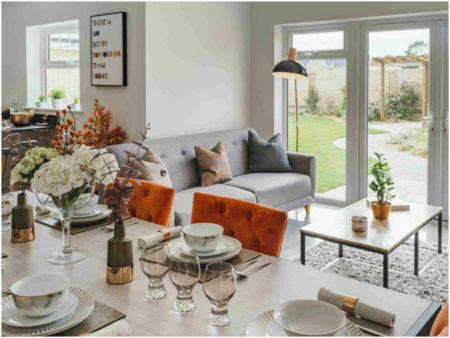 Homebuyers at Fusiliers Green will also benefit from close proximity to a number of outstanding outdoor spaces, including the coastal town Brightlingsea, situated a short ten-minute car journey away. Here, residents can participate in a number of outdoor activities, including sailing at one of the oldest established clubs on the East Coast, Colne Yacht Club. Perfect for summer adventures, Bentley Country Park is a Site of Specific Interest, featuring 24-acres of landscaped parkland, salting and three lakes, attracting an abundance of wildlife unique to the area. Bentley County Park also features a pine log club house, featuring a large Swedish spa and indoor swimming/gym facilities. House prices at Fusiliers Green begin at £420,000 for a four-bedroom home. The Government backed Help to Buy scheme is available on all properties at Fusiliers Green. For further information, please visit: www.go-homes.co.uk or call 01206-984277 to arrange a viewing.